It looks like I will not be running around your city for the St. Louis Rock and Roll Marathon. I was so focused on training to earn a BQ time that I may have over done it. This knee pain has ruined the wonderful racecation I set up for the family. It was more than a BQ attempt. 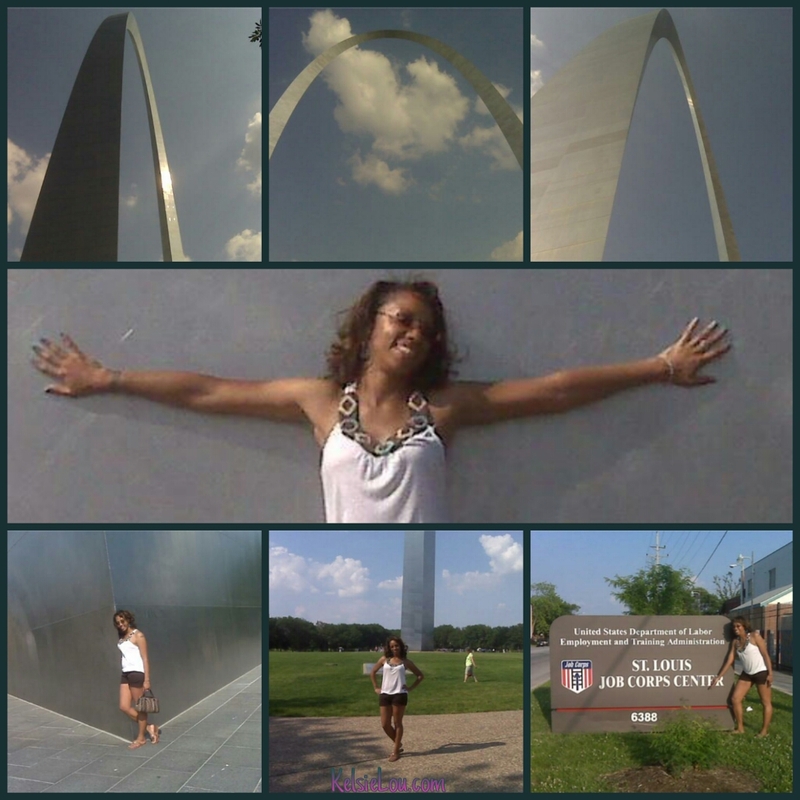 I wanted my parents to travel west on I-64 and see the Gateway Arch. The doctor did x-rays. There was nothing abnormal found, which is a good thing. I begin physical therapy next week to improve strength and balance. Therefore, the energy and dedication I have put into training will now go into active recovery. I’ll see what the PT has to say about all of this and move forward. Initially, I was worried about losing fitness and gaining weight. Looking over my training logs, I only averaged 12-14 miles a week from Dec ’13- May ’14. I was still able to come back and earn overall and age group awards in 5ks and 10ks. On the scale, I will continue to make healthy eating choices. I don’t mind gaining a few pounds. Currently, I am hanging around 133-135. 128 is my BQ goal weight. I was 134 for MCM last year. 140 is my limit so getting back into training will be easier. When I bounce back, I will focus on my time in half marathons. My PR is 1:51/8:28 pace from the Indy One America 500 Festival. That was with out a formal 13.1 training plan and no where near my potential. Speaking of potential, the keynote speaker at the Smoot Family Reunion said, “Define if your obstacles are overwhelming or not.” That speaks volumes because everyone has different genetics, lifestyles, goals, and opinions. My goal remains to BQ for 2016. Sorry St.Louis. My BQ will not happen under your beautiful arch. I wish nothing but the best for the participants Rockin’ the Lou. I send positive vibes for PRs and BQs, with out injuries. I hope the tension dissipates in nearby Ferguson. I’ll catch you the next time around, St.Louis! Save me some BBQ! Platinum Photography STL with Soror Shonte the softball Queen! Good girls never finish last!! This entry was posted in half marathon, marathon, running, St . Louis and tagged Rock and Roll Marathon, St . Louis. Bookmark the permalink. Sorry to hear that BQ at the St Louis race is out. That is really sad. But you are making the right decision with holding out and getting healthy before you shoot for the goal. Good luck with it. I’ve learned a lot at my 1st PT appointment. I will be sharing soon! Thanks for all of your support and well wishes!! Oh KelsieLou! I am so sorry about your knees and the marathon! You must be really disappointed!!! Have you considered a triathlon? There are also other combinations like bike/swim or run/bike etc. (The bike/swim is called aquabike, I believe.) Please keep us posted as to the rehab, and I personally would be interested in what exercises you are doing. Your family sounds inspiring, by the way! Thank you!! I’ve never heard of the Aquabike combo. Sounds very interesting. I need to awaken the sleeping swim giant inside of me. Great pics! Good attitude! Sorry about the knee, but at least it doesn’t sound serious. I’ve only driven past the arch, never had a chance to stop. Have fun! Thank you veddy much! I would like to go up, inside the arch on my next trip. The lines were ridiculously long on the holiday. Bummer about the injury – I hope you’re back at it in no time! Sorry to hear that you can’t participate in RNR St. Louis this year, but at least you listened to your body and avoided a much more serious injury. Good luck in your active recovery! Thank you! I wish I had enough time for the St.Jude marathon. Memphis has some good BBQ too!